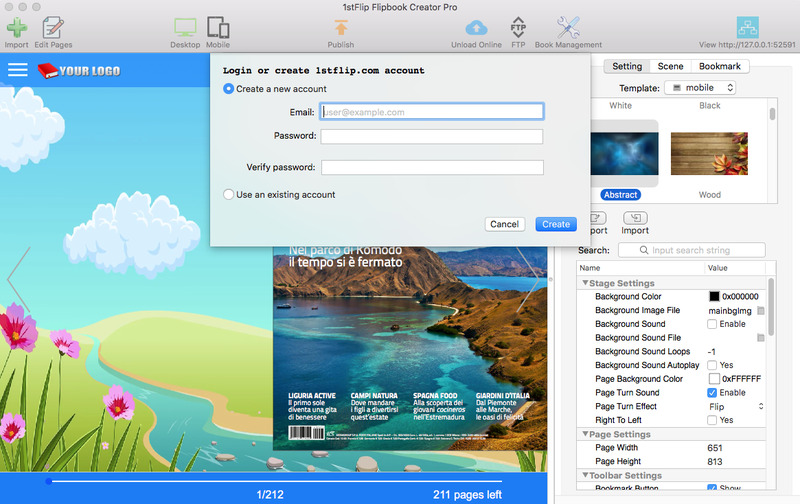 ﻿ What is Web Publishing Service of 1stFlip Flipbook Creator? What is Flipbook Publishing Service? 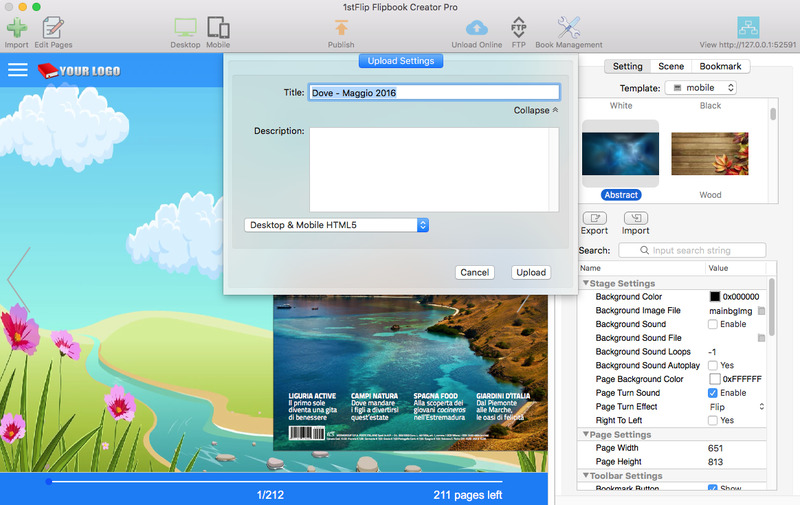 1stFlip Flipbook Creator not only converts your PDF files to attractive e-books with page-flipping effect, but also allows you to upload your flipping books online immediately after creation. One click to upload your flipping book to 1stFlip Cloud. Click Upload Online button and create a 1stFlip Cloud account. On the Upload Settings panel, type in the title, description of your interactive flipbook. This is very useful for SEO. Select Flash-HTML, Flash only or HTML5 only, and then click Upload. We choose Amazon Simple Storage Service (Amazon S3) to store all your precious flipping books. Amazon S3 offers a highly durable, scalable, and secure solution for backing up and archiving your critical data. It is safe and secure. Your flipping book has a unique URL after uploaded successfully. 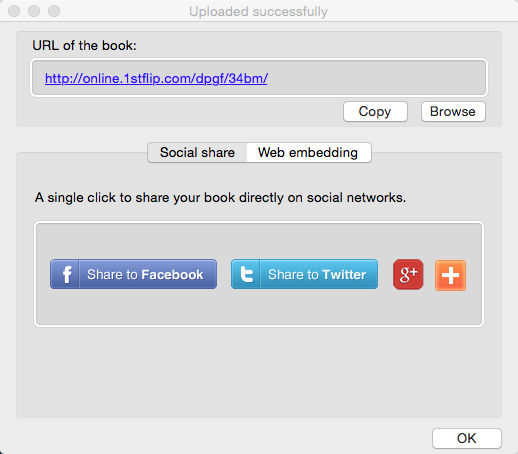 You can copy the URL and paste to anyone, or one click to share to Facebook, Twitter, Google+ and many more social networks. Also you can copy and paste the code to embed the flipping book your website or blog. Click Online Library on the interface and you will see all your uploaded flipping books. Download the free trial of 1stFlip PDF to Flipbook Converter and publish flipbooks online with the web publishing service.